We are extending our house over the course of 2014 so won't be able to commit to any swaps for this summer. Completion date TBD! Our home has been completely renovated and extended to a very high standard and is homely and relaxing. 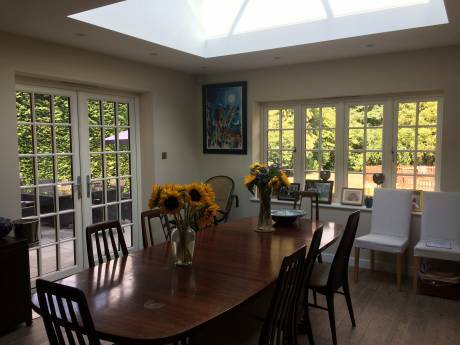 It comprises 4 bedrooms, 2 bathrooms, a well equipped modern open plan kitchen/family room (newly installed a couple of years ago including underfloor heating, Miele ovens, steam oven, warming drawers, Fisher& Paykel fridge freezer, ice-cream maker etc. ), a playroom, study (with wifi), utility room (with Miele washing machine and tumble dryer) and more formal living room (with plasma TV, Sky+ and wood burning fire). We also have a spacious garden with BBQ and a separate studio which acts as an extra office/guest bedroom. 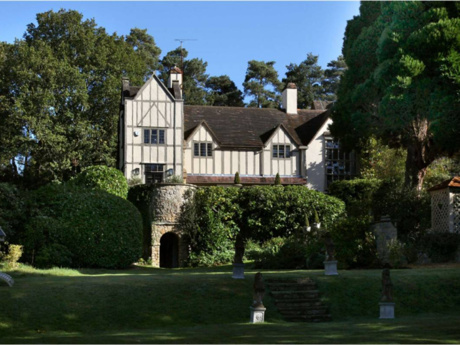 Our home is located in the picturesque market town of Beaconsfield which is located in Buckinghamshire in the Chiltern Hills. With its historic Old Town and bustling New Town with plenty of shops, cafes and restaurants, surrounded by Green Belt and ancient woodland, Beaconsfield is a wonderful place to live. Situated exactly half way between London and Oxford it is now one of the most prosperous towns in the whole of England. It is the home of Beaconsfield Film Studios becoming the National Film and Television School, where many film directors and technicians have learned their craft. Some scenes in Brief Encounter, a classic film about a woman in a dull middle class marriage who almost undertakes an affair, were filmed in the town. The exterior of the Royal Saracens Head Inn can be seen in the James Bond film Thunderball. Many other parts of the town have been used in films due to the old film studio and nearby Pinewood Studios. More recently it has often been used as a "location" for the TV murder mystery series, Midsomer Murders. 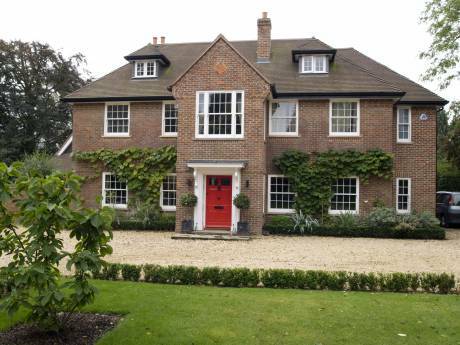 Beaconsfield is located less than 25 miles north west of the centre of London. The town's train station is served by Chiltern Railways which runs regular trains to London Marylebone (shortest journey time is just 20 minutes - the station is a 10 minute walk from our house). In addition, the international airport Heathrow is approximately 30 minutes away by car (17 miles). We have excellent transport links to all of the 2012 Olympic sites, in particular, Wembley Stadium (25 mins by train), Lords Cricket Ground, Regents Park (moments from Marylebone station) and Hyde Park in London, Eton Dorney (8 miles) and Lee Valley (25 miles). The Royal Standard of England is our local pub which we can walk to through the woods in 10 minutes. The pub is reported to be the oldest Free House in England. It also played host to Charles I during the Civil War. Also, nearby are the riverside towns of Marlow and Henley-on-Thames (home to the world famous rowing regatta), Oxford (37 miles), we are in easy distance of the Cotswolds and you can head down to Bath straight onto the motorway in less than 2 hours. We have two cars, a Lexus (automatic) and a Mini (manual) which would be at your disposal. We also have bikes. We're a couple with 2 beautiful and well behaved children, a girl aged 8 and a boy aged 6. Elizabeth is a lawyer/practice manager; Mark works in banking - we both work in London. We love wine, cooking, eating out and travel and try to balance these out with running and cycling. We have exchanged twice before and I enjoyed several house exchanges as a child so we are seasoned house exchangers. We are ideally looking for an exchange on the East Coast of the US or Canada but really are open to swaps anywhere in the world whether a house or apartment so get in touch! London's West end is 30 minutes by train, Westfields near Shepherds Bush, London - the largest shopping centre in Europe!